Qtum Cryptocurrency Review! Qtum was designed specifically to include interoperability, stability, and modularity. Its hybrid nature combines elements taken from Ethereum and Bitcoin infrastructures, providing the perfect combination of benefits. It also has a PoS consensus protocol that is one of the first of its kind and lets it maintain compatibility with all the major blockchain ecosystems. At the same time, it has native support for both IoT applications and mobile devices. Qtum makes the blockchain accessible to companies looking to build decentralized applications. Qtum essentially is a toolkit for creating trusted decentralized applications that can be used in the real world for business-oriented purposes. 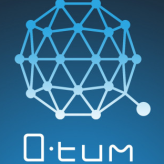 Qtum uses an inter-compatible variation of the popular Ethereum Virtual Machine along with a modification of the Bitcoin Core infrastructure. This combination allows for the reliability associated with the blockchain plus the limitlessness of smart contracts. The team behind Qtum comes from multiple sources, including Ethereum and Bitcoin communities and traditional companies, including Alibaba, NASDAQ, Baidu, and Tencent. The vast majority of blockchain platforms focus on computer-related applications, but Qtum also allows for mobile solutions. This is because the SPV (simple payment verification) protocol has default support from the Qtum codebase thanks to its influence from the Bitcoin UTXO model. That default support allows smart contracts to be executed using lite wallets that are available for all mobile devices. You are not able to purchase QTUM with “Fiat” currency so you will need to first purchase another currency – the easiest to buy are Bitcoin or Ethereum which you can do at IQOption using a bank transfer or debit / credit card purchase and then swap that for QTUM at an exchange such as Binance.